Are you looking for the top 64 Spades Bonus code that the internet has to offer? VGN is here to get you all setup and ready to go. 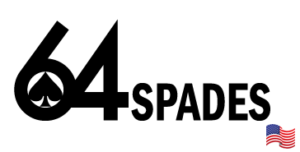 If you are a new member of 64 spades and are looking to get involved with their community we intend on getting you setup and ready to go so that you receive the full benefits and experience that they have to offer. VGN will have special promotions with 64 Spades in the future that will include a wide array of perks such as Freerolls, Tickets, Contests & More! Its a no brainer. 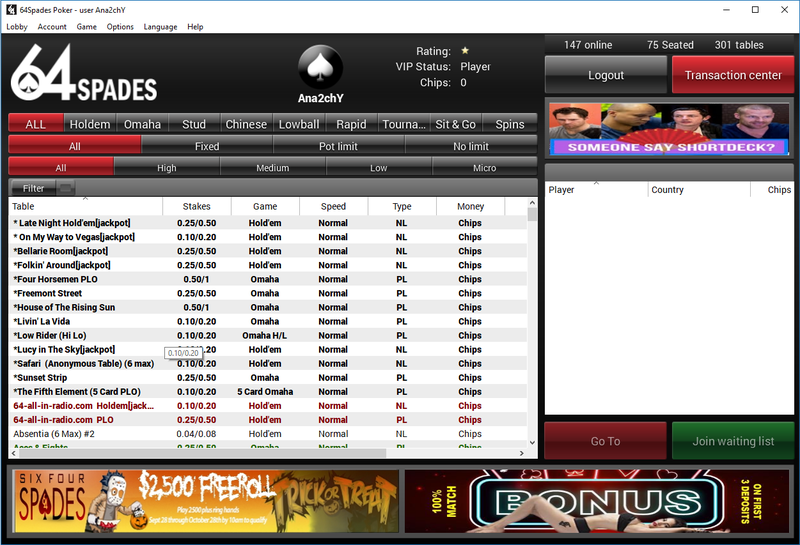 Signing up for 64 Spades through VGN Poker is definitely the way to go! 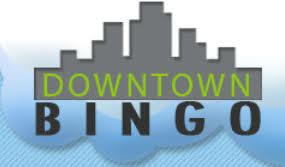 Click Here To Register an account! Players can qualify for the Monthly $1,000 Freeroll on 64 Spades by playing 2,000 Ring Game Hands! Once you qualify you are one step closer to winning some free money to help you on your journey to build that bankroll! 64 Spades offers up a huge variety of public and private games. If you like the private game atmosphere, like to get involved with communities and have fun this place might be for you. Just registering an account and logging on to the 64 Spades software promises you hours and hours of fun.